Phosphodiesterase type 5A (PDE5A) inhibitors acutely suppress beta-adrenergic receptor (β-AR) stimulation in left ventricular myocytes and hearts. This modulation requires cyclic GMP synthesis via nitric oxide synthase (NOS)-NO stimulation, but upstream and downstream mechanisms remain un-defined. 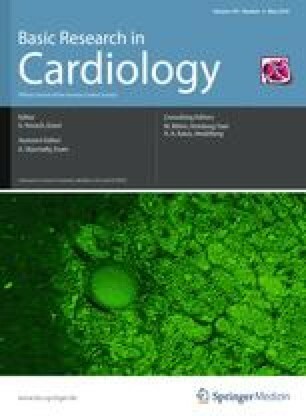 To determine this, adult cardiac myocytes from genetically engineered mice and controls were studied by video microscopy to assess sarcomere shortening (SS) and fura2-AM fluorescence to measure calcium transients (CaT). Enhanced SS from isoproterenol (ISO, 10 nM) was suppressed ≥50% by the PDE5A inhibitor sildenafil (SIL, 1 μM), without altering CaT. This regulation was unaltered despite co-inhibition of either the cGMP-stimulated cAMP-esterase PDE2 (Bay 60-7550), or cGMP-inhibited cAMP-esterase PDE3 (cilostamide). Thus, the SIL response could not be ascribed to cGMP interaction with alternative PDEs. However, genetic deletion (or pharmacologic blockade) of β3-ARs, which couple to NOS signaling, fully prevented SIL modulation of ISO-stimulated SS. Importantly, both PDE5A protein expression and activity were similar in β3-AR knockout (β3-AR−/−) myocytes as in controls. Downstream, cGMP stimulates protein kinase G (PKG), and we found contractile modulation by SIL required PKG activation and enhanced TnI phosphorylation at S23, S24. Myocytes expressing the slow skeletal TnI isoform which lacks these sites displayed no modulation of ISO responses by SIL. Non-equilibrium isoelectric focusing gel electrophoresis showed SIL increased TnI phosphorylation above that from concomitant ISO in control but not β3-AR−/− myocytes. These data support a cascade involving β3-AR stimulation, and subsequent PKG-dependent TnI S23, S24 phosphorylation as primary factors underlying the capacity of acute PDE5A inhibition to blunt myocardial β-adrenergic stimulation. D. I. Lee and S. Vahebi contributed equally to the work. The online version of this article (doi: 10.1007/s00395-010-0084-5) contains supplementary material, which is available to authorized users. We thank Chad M. Warren for his assistance in performing some of the isoelectric gel electrophoresis studies. This work was supported by Public Health Service NHLBI grants: HL-089297, HL-095408 (DAK), and T32 HL-07227 (DAK, SV), and RO1 HL-022231, and PO1-HL-062426 (RJS).